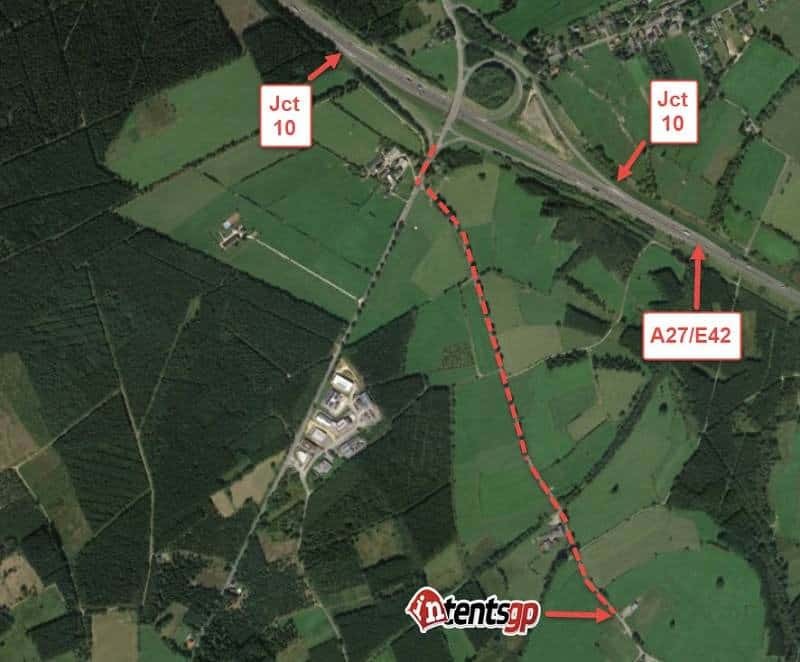 We are very easy to find from the A27/E42 motorway. 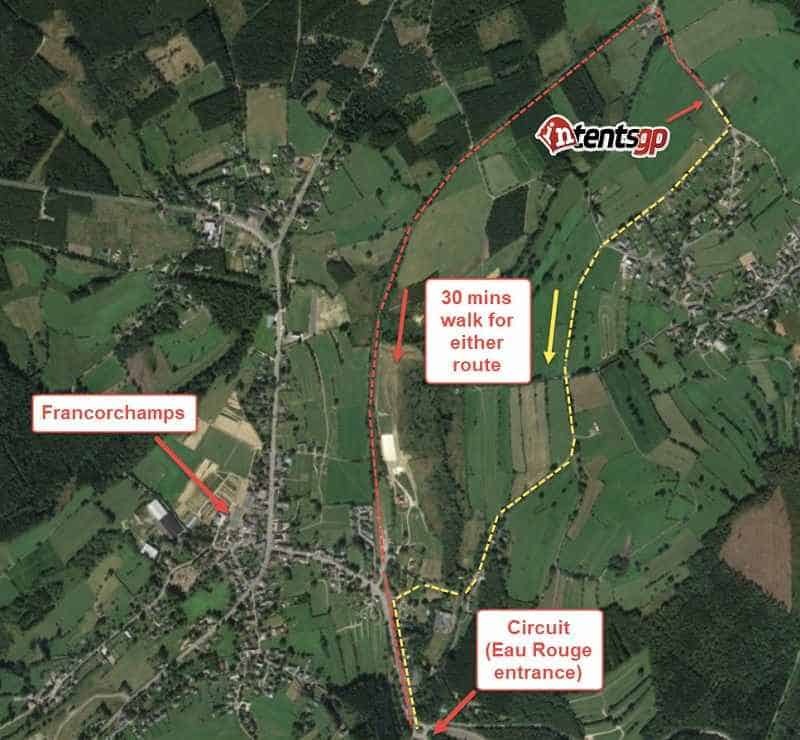 There are two routes to the circuit from our site and you will be pleased to hear that they are pretty flat! The traffic is so heavy that it’s pointless to do anything other than stroll to and from the circuit. I would just like to thank everyone at the Belgian Grand Prix inTentsGP who made our stay so many time better. (we were in tent 404 - 4 man tent - yeah yeah the 4 asian dudes lol) The hospitality from everyone was second to none. I know most staff were from the north east and what a credit to the region they are too. But seriously all the staff we met were helpful, kind, considerate, understanding, forgiving, funny and quality individuals all round. Kitchen, Serving Food, Bar Staff, Welcoming, Tent Staff, Wish i could remember everyones name so I won't boost Mez by remebering his only - lol. I can only summise you were all brought up 'proper'. Many Thanks and still buzzing. Fantastic weekend at the spa gp despite the rain we stayed dry in our warm tents, the staff were fantastic so friendly and up for a good driver debate and the other guests were brilliant we enjoyed chatting to our neighbours in the marque. After travelling europe for 2 months it was the best accomadtion we had stayed in.